JustFundraising is committed to providing unparalleled customer service so we are proud to share our customer comments. As you will read, you are in good hands with JustFundraising for your next fundraiser. "Craig and other staff members I spoke to was very helpful, pleasant to work with and wanted to help me in anyway." 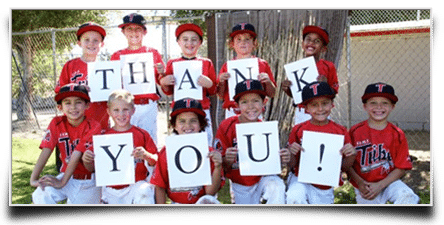 "I wanted to let you know we were very satisfied with our product and service with JustFundraising.com. We look forward to using your services again next year. Thank you!" "This is the first time that I had to coordinate a fund raiser, the help I received from JustFundraising.com made this a very easy task for me." "The $1050 we raised will help us pay for a trip to a youth conference in Florida. It was easy to do, since everything in the brochure is $7!" "Every year our group goes to the State Marketing Conference, and every student is responsible for their own ticket. With the Chocolate Treasury fundraiser, we raised $1410, and had fun while doing it!" "We were very happy with the service that we received from JustFundraising. Our profit is going towards our Young People's Department for group activities and trips." 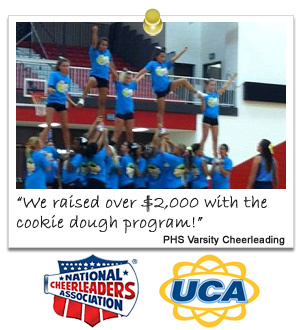 "Despite plenty of competion from other local groups doing fundraising, we did great with the Emma Lou's Cookie Dough fundraiser!" "Your service representatives were very helpful and supportive. We enjoyed selling the Emma Lou's Cookie Dough, and will definitely do it again!" "Selling from the Cottontail Collection brochure brought me and my choir group back to elementary school! Definitely a success!" "My sorority and I felt the Cottontail Collection fundraiser was much better than the other fundraisers out there. All of our questions were answered promptly!" "The Emma Lou's Cookie Dough fundraiser was so successful that we're doing it again, right away!" "I appreciate the fact that you total everything up for us, and do all of the hard work! 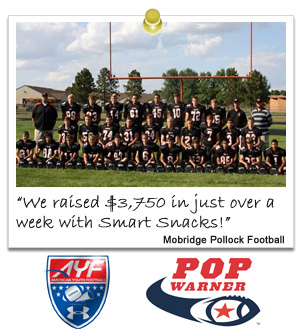 Thanks for an easy fundraiser!" "We were really happy with how the fundraiser turned out, so much so that we're planning on doing it again very soon." "Seven of the kids in our school sold over $200 each, and everybody had a good time on the fundraiser." "The products in the Elite Retreats brochures were very high quality, and the service was very helpful." "The customer service we received from Niki was so wonderful, we made her an honorary family member!" "This was the second time we've done Emma Lou's Cookie Dough, and we raised even more than the first time!" "The students found the candle fundraiser to be much easier to do then what was originally thought. We've recommended it to the Freshman class." "This was our first fundraiser, and the Scouts and I were extremely happy with how it turned out." "This was an easy-sell fundraiser. We'll definitely be using JustFundraising again!"